Check out Tobi's Tulalip O-Ring Vinyl Tote Bag A clear bag to complete all your summer looks, the Tulalip O-Ring Vinyl Black Tote Bag will highlight all your essentials. 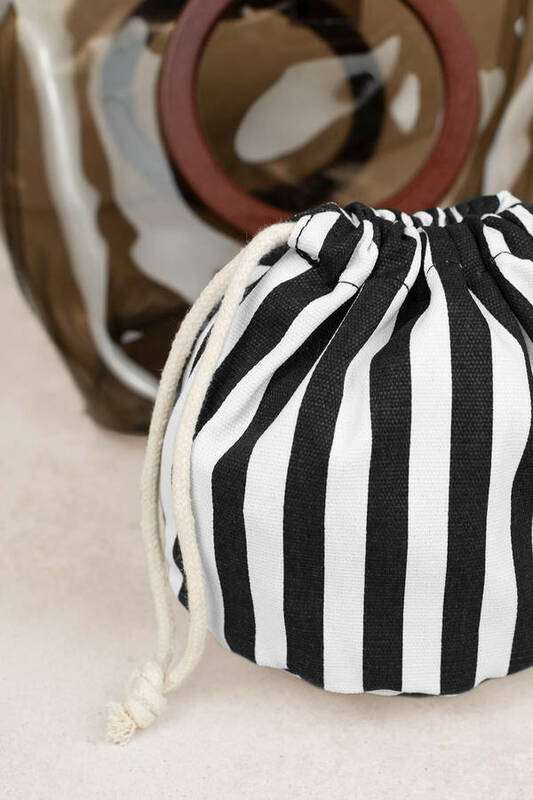 This transparent bag features wooden o-ring handles with a detachable stripe print bag, just in case you want a lil handbag privacy. Pair this small tote bag with all your flowy jumpsuits. A clear bag to complete all your summer looks, the Tulalip O-Ring Vinyl Black Tote Bag will highlight all your essentials. 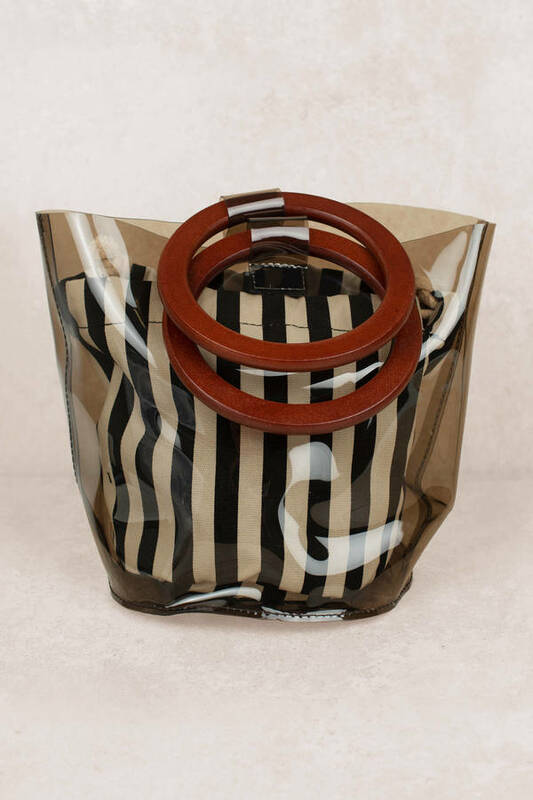 This transparent bag features wooden o-ring handles with a detachable stripe print bag, just in case you want a lil handbag privacy. Pair this small tote bag with all your flowy jumpsuits.